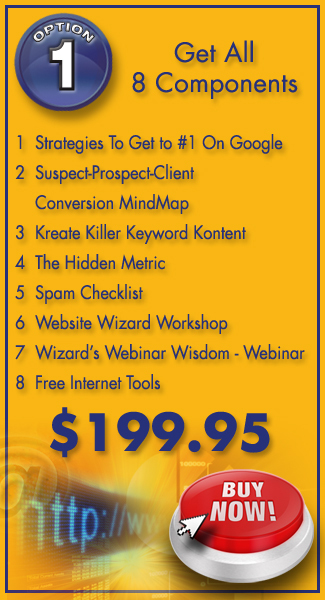 SME Internet Sales Lead Generation Toolkit! This is a great metaphor for Google listings and SEO optimisation. The goal every small business owner must have is to get and STAY one step ahead of the competition. That’s easy to do – when you have the proper tools for the job! If you’re like most business owners, the last thing you want to do is waste your valuable time trying to figure out how to get on page one of Google or whether or not you should be on Facebook and Twitter. But there are some quick, easy and inexpensive (free) things you (or your staff) can do right now, to jump ahead of the competition – get on Page 1 of Google and STAY THERE. That’s why this brand new SME Internet Sales Lead Generation Toolkit is so valuable. It includes absolutely FREE strategies that our most elite, ambitious and successful clients have used to leverage the Internet WITHOUT hiring any IT or WEB experts. Let me repeat that again, just to make sure it really resonates with you. This all-inclusive toolkit reveals how our most successful clients dominate their market niches without hiring expensive web design experts and consultants – saving thousands of dollars while improving their results – getting more people to call or walk into their premises. Most of the strategies and techniques I will show you are free, legitimate and endorsed by all the major search engines. They are not risky or manipulative (what hackers call ‘black hat’). I will take you through the process step-by-step so you can fully understand the principles and concepts involved. The number one reason business people are intimidated by the Internet is simply because they don’t know the basics. Once you understand HOW search engines work and how information is organized on the Internet, the basic framework becomes simple and straightforward. Once the mystery is removed, the steps to get you to ‘page one’ is simple, easy and relatively inexpensive. The alternative is that you remain unaware and therefore at a substantial competitive disadvantage. This special collection of tools are yours to ensure that you fully leverage the power of the Internet to get more qualified leads into your business that become paying customers and clients. Each component serves a particular purpose to empower you to take control of your online sales channel. It assumes you have a brick and mortar business, store or professional practice and you’re looking for real live people to buy from you. These strategies have been used by Australian business owner-operators… just like you. Plumbers, dentists, consultants, trainers, gym owners, retail store owners, bakers, butchers, lawyers and chiropractors. What they wanted were the best Internet tools, tips and techniques to get the best results with the least amount of effort and lowest cost. They are all yours as part of this all-inclusive Toolkit. Valued at more than $1,000, this special set of Internet tools are literally priceless in their potential to produce profits for you. Take a look at everything that’s included! This 4-page case study highlights simple, easy-to-deploy Internet strategies anyone can use to get on or closer to page 1 on Google. We all know that Google rankings are the holy grail of online traffic. The higher your ranking, the more free, organic traffic you will get to your website or blog. That’s important because targeted traffic is key to converting visitors into paying clients. Simply put, if this stuff works for an electrical engineering consulting practice, it’ll work for your business. This 1-page graphical “checklist” makes sure you are always focused on the all-important transitions from suspect to prospect and from prospect to paying client or customer. Often, with Internet strategies, novices forget where they are along their various Pathways To Profits™ confounding who is a suspect versus a prospect and vice-versa. This full-colour graphic checklist will reinforce and remind you of the basics that all veterans refer to when designing their online campaigns for maximum effectiveness. This unassuming Killer Kopywriting Kase™ will reveal how you can fully exploit Google’s search engine algorithms by turning the tables on them for once. Using their secretive systems, this revelation will astonish you with its elegance and effectiveness. It’s one of the many strategies I teach our most elite Platinum Program Members. Once you know how to do this, you can “rinse and repeat” it over and over and over again – indefinitely BECAUSE the beauty of it is that you always have the most up-to-date data at your fingertips. This can easily add 15 to 30% more QUALIFIED LEADS to your website BECAUSE it’s previously proven to work, not in general, but specifically for YOUR BUSINESS. Intrigued? You should be this one’s a Klassic Killer Kopywriting Kase™! Google Adwords™ have achieved widespread acceptance as one of the best website traffic generation methods. But did you know that many Adwords campaigns are rendered ineffective and unprofitable by one “hidden” metric that most advertisers don’t even know exists? This article reveals what it is, why you need to know about it and how to maximise it quickly and easily. There is nothing worse than having a successful campaign running and then waking up to the nightmare that Google “slapped” your account due to an “oversight”. 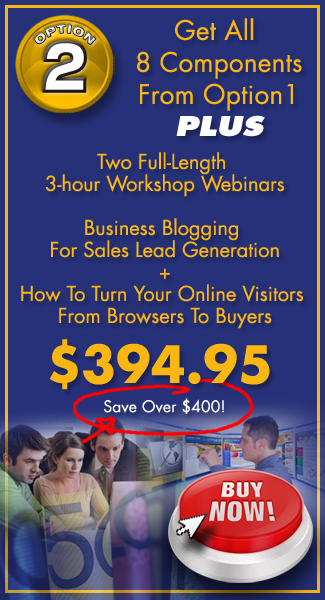 You can easily and quickly lose hundreds if not thousands of dollars in sales as a result. Worse – you can lose DAYS or WEEKS trying to figure out what happened – spending time and money on webmasters who will continue to steer you down the wrong path. The 12 recommendations and 4 additional distinctions will bullet proof your Google Adwords™ campaigns while also reducing your spend and improving your conversion to sales! If you’ve ever heard George Carlin’s famous comedy skit “The Seven Dirty Words You Can’t Say On TV”, you know you should avoid AT LEAST SEVEN in your subject lines. What you might not know is that there are a LOT more that you should avoid including expressions that are picked up by many spam and junk mail filters. This checklist will help you avoid the filters improving your e-mail deliverability! This 3-page checklist alphabetically lists the top 305 words, expressions, syntax, punctuation and symbols NOT to use in your e-mail subject lines if you want them to go into your prospects’ and clients’ inboxes instead of their junk and spam folders. This is a priceless checklist that all copywriters need to have close at hand. There’s nothing worse than sending an email that no one opens. Imagine 22 separate BANKS paying you day AND night… a non-stop ULTIMATE money-making machine that never stops! SYDNEY, AUSTRALIA, AUGUST 2007 – 604 money-hungry Internet Entrepreneurs sat on the edge of their seats, as the Internet’s Guru’s Guru shared not only some of his latest secrets but, most importantly, his money-pumping mindset. If you’re like most, your imagination is spinning its wheels. But that’s exactly what this recording do – give you fresh new ideas even if you consider yourself “knowledgeable” online. How to use online webinars to maximise the reach and effectiveness of your sales message, attract tons of new customers and increase profits by actually spending less on advertising. The Internet is full of free tools, sites and services. But the challenge is to know which ones are safe to use and work to create the outcome you want. There is nothing worse than embarking on a 1, 2 or 3 hours expedition only to realise what you’re doing won’t work – or worse is shunned by the search engines! We’ve vetted out all the best FREE resources and have created a neat checklist that you can rely on – saving you dozens of hours of wasteful surfing so you can get started producing results within minutes – LITERALLY. As I write this, I realise you’re not going to buy the SME Internet Sales Lead Generation Toolkit unless you know where I’m coming from and why my approach is different. Let’s face it – this an absolute bargain because ONE NEW LEAD is worth more to you than the total cost of the Toolkit. The reason I’m offering this Toolkit is because of the incredible success of the original SME / Entrepreneur Business Building Toolkit. People have asked me to put the same together for online lead sales generation. Here it is! If you’ve been on my database over the past several years, you’ve seen the progression of my online presence and positioning. The time has come for you to get off the fence and get this Toolkit to get 2012 off to a positive start. When all is said and done, I’m all about results. Everything I teach can be tracked and monitored. The strategies and techniques I teach are bulletproof. They work each and every time – no exceptions. Understand how your prospects and clients find you on the Internet. You will learn the quickest and easiest ways to get people who want to buy from you to find your products and services instead of your competitors’. Finally accept that social networking is a complete waste of time for most small businesses. Unless you’re in the business to consumer space, social networking is one of the ways unscrupulous web design companies are fleecing ignorant business people, getting them to waste thousands of dollars for no commercial benefit. This is scandalous and one of my biggest pet peeves. Google has moved the guideposts in the last 1-2 years. What do you need to do avoid getting knocked off the search engine listings? If you don’t do anything, your established position will suffer. With the most-up-to-date tools I will put in your hands, you’ll never be caught unprepared, in fact, you’ll have what I call 20/20 Foresight™! Get more traffic to your website without spending a cent on expensive Google Adwords. Google Adwords are increasingly expensive. Most of our clients have abandoned them, replacing them with free organic search strategies that out-perform their previous Adwords campaigns. So there you have it. All the reasons this is the best investment you can make to ensure that 2012 is your best year ever in business – online. Doing business online is getting tougher and is much more competitive than it’s ever been. Most small businesses are slowly sliding backwards as the rules of the game are being changed without them knowing. Imagine playing a sport where the ref keeps changing the rules and how points are scored and NOT telling you – how could you possibly win the game? Now imagine the alternative – you have the rule book in hand and know exactly what to do to win… That’s what the SME Internet Sales Lead Generation Toolkit is all about. Time since publication. This means the quicker you get content online (and indexed), the better. Fresh updates. Recently, the rules have changed to accentuate this even more so that you are rewarded for getting started TODAY and adding content every couple of days. Relevance. This will always be rewarded because everyone wants to find what they’re looking for, but once again there are a handful of tweaks Google has made to its algorithm that you must be aware of to be rewarded, rather than punished!